PORTLAND, Maine — The United States imported more seafood last year than at any point in its history, and the nation’s trade deficit in the sector is growing, federal data show. The country imported more than 6 billion pounds of seafood valued at more than $21.5 billion in 2017, according to National Oceanic and Atmospheric Administration data, and exported more than 3.6 billion pounds valued at about $6 billion. Commerce Secretary Wilbur Ross, who heads the federal agency that includes NOAA, has identified reducing the deficit as a priority. Strategies could include increasing the amount of aquaculture-based farming, said Jennie Lyons, a NOAA spokeswoman. The United States is home to major commercial fisheries for species such as Pacific salmon, New England lobster, and Alaska pollock, but it imports more than 90 percent of the seafood the public consumes. Countries that the United States buys the most seafood from include Canada, China, and Chile. Major buyers of US seafood include China, Japan, and South Korea. It’s important to note that domestic and imported seafood are both important parts of the supply chain and support thousands of American jobs, said Gavin Gibbons, spokesman for the National Fisheries Institute. He said the trade imbalance isn’t caused by a lack of fish to catch in US waters; NOAA says the number of overfished fish stocks is at an all-time low. 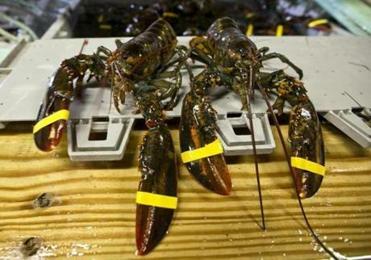 Local lobster companies are hopeful that a 25 percent tariff by China won’t chill overseas exports. 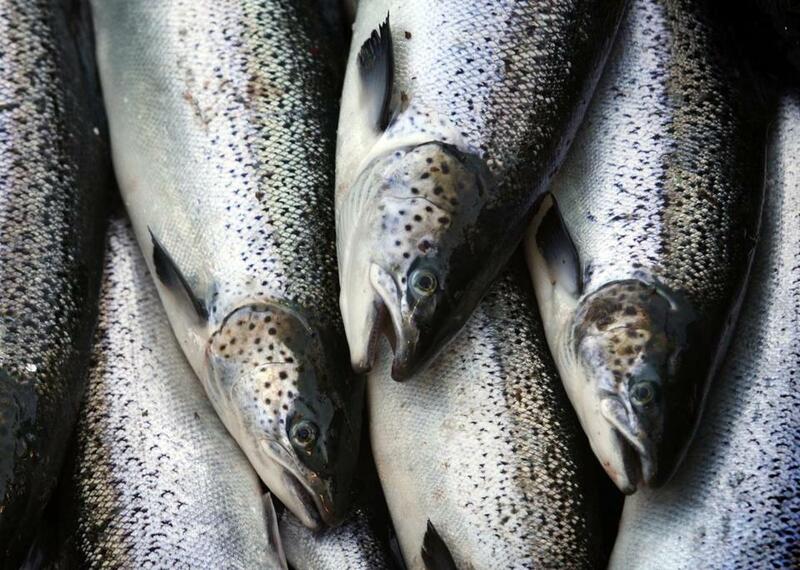 ‘‘Our stocks are fished to the maximum sustainable yield. In order to feed Americans, and to feed the raw materials into the jobs that are needed, we have to get it from overseas,’’ Gibbons said. But there are some fish the United States has imported more heavily in recent years because domestic stocks have dried up. One example is Atlantic cod. That fishery has collapsed due to overfishing and environmental changes. The United States imported more than a half billion dollars’ worth of cod in 2017, with fish that once came from Massachusetts now coming from places like Iceland and Norway.